There are several significant issues facing blockchain technology and cryptocurrency platforms today. Right now, the most pressing issue facing established cryptocurrencies is scalability. However, interoperability of blockchains presents an entirely new structure for the ecosystem. While scalability solutions continue to develop, there are some important forward-thinking projects, technologies, and obstacles facing the interoperability of distributed ledger systems that are worth evaluating. From innovative platforms predicated on becoming the foundation of interoperability to open protocols gaining momentum, the ability of blockchains to communicate and interact with each other offers a new era for the Internet. 1 How Is It Going to Work? There are many moving parts in regards to interoperable technologies right now, some of which are already working and others that are just concepts. Regardless, the technologies underpinning the future landscape of interoperability are fascinating and at the cutting-edge of the industry. The problem of interoperability between blockchain systems is that they don’t speak the same languages as each other. They’re complex platforms with varying levels of smart contract functionality, transaction schemes, and consensus models. Overcoming that problem requires technology that facilitates universal communication between each chain, with the most likely solution coming in the form of open protocols, akin to the early days of the Internet. Open protocols function as standardized pathways for blockchains to communicate and exchange both value and data with each other. They provide the universal language for blockchains and are the foundation of the Internet. Multi-chain frameworks are open environments for various blockchains to plug into, under a tiered structure of decentralized governance. These solutions are typically much more complicated than a single open protocol and are represented by some notable and well-known platforms that have native tokens. The most well-known open protocol for interoperability of blockchains is the atomic swap. Essentially, atomic swaps are cross-chain, decentralized escrow services where there is no intermediary or trust needed. 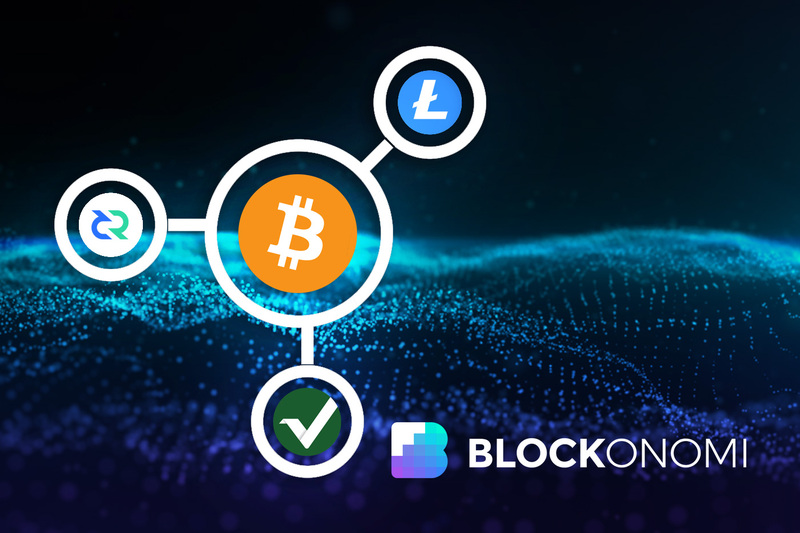 They exchange value between blockchains, for instance, 1 BTC for 1 ETH between two individuals without using an exchange or intermediary, the functionality is built into the protocol. Read: What Are Atomic Swaps? Application Layer – Coordinates the atomic swaps sender address, destination address, and selects the transport protocol. Transport Layer – Functions as the end-to-end protocol between sender and receiver that determines the transaction conditions and other details. Interledger Layer – Facilitates the transfer of the transaction data between sender and receiver. This layer provides standardized addresses and protocol flow between address senders, receivers, and connectors. The Interledger Protocol within this layer instructs the connectors that exist between the sender and receiver where to send the data packets. Ledger Layer – Allows for selection of the means of settlement for the swap, as determined by the interacting parties. Typically is a plugin architecture to abstract the difference between the protocols. The ledger layer can consist of blockchains or traditional financial systems such as banks, and Interledger is facilitating the use for both. Atomic swaps offer a practical open-source mechanism for facilitating interaction between blockchains, various iterations of atomic swaps may come to dominate transfers between blockchains, but more large-scale and complex solutions exist, known as multi-chain frameworks. Multi-chain frameworks are in essence, environments that help to facilitate open communication and transfer of both value and data between multiple blockchains, as part of a more extensive network. Blockchains can plug into and become part of a standardized ecosystem where each blockchain is a component of the larger system. Several platforms are building these systems, each in an optimized way, but the overall concept remains. These platforms are often touted as the “Internet of Blockchains” and they offer some unique and promising capabilities. Polkadot is a multi-chain framework for sub-chains (known as parachains) to interact with each other seamlessly. Notably, parachains within the polkadot ecosystem can have different characteristics and can have their transactions spread out across other chains in the ecosystem. The result is a much more scalable network of different blockchains. A fundamental characteristic of Polkadot that allows it to stand out from similar models is that it focuses on facilitating not only transactions between blockchains but data as well. Data in the form of smart contracts and the application capabilities that come with them. It is highly ambitious and therefore much more complex than others, but promises to achieve some incredible feats. The relay chain acts as the coordinator of the network that controls the consensus mechanism for all of the blockchains. Due to that, all blockchains that plug into Polkadot forfeit their consensus mechanism to the broader Polkadot Proof-of-Stake model. The parachains are the individual blockchains that are part of the Polkadot environment. While they lose their consensus, they have the freedom to be much more creative regarding developing the structure and function of their blockchain as part of Polkadot compared to Ethereum. Speaking of Ethereum, the bridges are the connections — where a degree of trust is needed — to standalone blockchains with their own consensus such as Ethereum. The overall concept of a platform like Polkadot is to act as a base protocol and structural framework that allows blockchains to plug into its environment and enjoy the benefits of a robust and scalable network of blockchains. Cosmos is a similar concept to Polkadot but is slightly different as it focuses on facilitating transactions between blockchains rather than smart contract data too. Further, Cosmos does not require that blockchains forfeit their consensus when plugging into the network. Overall, Cosmos is a decentralized network of blockchains powered by Tendermint. Similar to Polkadot, the “zones” in Cosmos are the blockchains that can plug into the network to enjoy the benefits of a standardized protocol for value exchange between them. These zones can operate on a similar Proof-of-Stake model and can either be public or private. Zones are also sovereign, meaning they do not have to surrender their consensus mechanism to the broader Cosmos network as in Polkadot. The Cosmos “Hub” also functions similarly to the Relay Chain of Polkadot. The Hub acts as the glue that ties all of the zones together, functioning as a coordinator that facilitates the seamless and standardized languages between the zones. The Hub is also a blockchain itself, and eventually, anybody will be able to create a hub on the Cosmos network. The initial iteration of Cosmos will see the Cosmos team directly make the first hub called the “Cosmos Hub,” which will be a permissionless network utilizing its native Atom token. Besides the technologies and platforms behind blockchain interoperability, a critical component for their development is collaboration and interoperability between the people building these solutions. Open-source ecosystems are powerful tools for facilitating such interactions, and environments such as Hyperledger provide tools, expertise, and testing environments for building blockchain systems and their applications. Hyperledger may focus on businesses building enterprise, permissioned blockchains, but its guardianship under the Linux Foundation should serve as a model for the broader blockchain community. The Linux Foundation has achieved some pretty amazing things, and open-source communities such as Hyperledger and Github should only help to accelerate the development of blockchain interoperability. The ability of blockchain networks to communicate with each other, whether through a suite of established open protocols, multi-chain frameworks, or a combination of both, will inevitably launch the industry into a new era. These solutions may seem distant with looming scalability concerns facing many cryptocurrencies; nonetheless, there are some notable use cases already conceived where such technology can make an enormous impact. The healthcare market is one of the largest and most vital to modern societies. Despite its massive influence and innovation, it remains plagued by disparate regulatory environments, fragmented data management systems, and a lack of standardized procedures. With interoperable distributed ledger networks — permissioned or permissionless — operating within different jurisdictions and healthcare networks, many of the major hurdles that limit innovation and communication in healthcare can be overcome efficiently. These solutions are most likely not happening anytime soon, but are worth keeping an eye on as healthcare is sure to be one of the first industries to be disrupted by blockchain interoperability. Decentralized identity also provides a unique use case for similar reasons as the healthcare industry. Various government standards and identification types make the issuance and verification of digital identities very difficult. On top of that, identity fraud is rampant due to the need for duplication of identities in online submissions and verifications with third-party providers. Specific solutions such as Civic and Ethereum identity attestation standards are already in development and functioning; however, interoperability of blockchain networks would undoubtedly help expedite the entire process by connecting various blockchain networks that could represent various types, levels, or jurisdictions of identity management. Looking to the future of novel technologies such as blockchain is exciting, but always unpredictable. It will continue to remain difficult to project the future trajectory of the industry, but at least there are cutting-edge technologies and ambitious platforms that can show us a glimpse of what the future of blockchain interoperability might hold. You actually miss the most promissing project solving interoperability issues, which is quant network with their overledger tech. It solves interoperability issue without being dependent on one single ledger.